World of Hyatt has launched a new bonus miles campaign for Cathay Pacific Asia Miles member stays between November 1 – January 31, 2018. Asia Miles members can earn triple miles that is 1,500 miles per stay (500 base + 1,000 bonus) for stays booked October 17 – January 17. Note that you must choose to earn partner points instead of Hyatt ones for your stay to earn the Asia Miles bonus. This is probably far better offer for those that collect Cathay Pacific Asia Miles than earning few hundred World of Hyatt points for short and inexpensive stays. 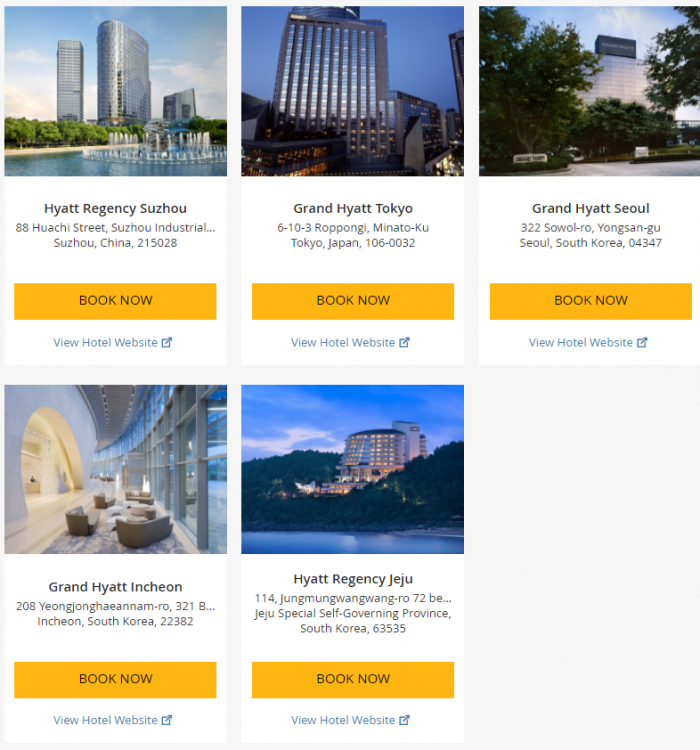 Offer is valid for reservations made between Oct 17, 2017 and Jan 17, 2018, for stays between Nov 1, 2017 and Jan 31, 2018 at participating Hyatt hotels in Asia region. All hotel reservations are subject to availability and have to be made in advance. Offer is not valid with groups/conventions and may not be combined with other promotional offers. Guest must be a World of Hyatt member and check-in to receive bonus miles. Guest must choose to earn ASIA MILES for their stay with a valid ASIA MILES membership card at check-in and pay an Eligible Rate. Only one bonus may be earned per member, per stay, regardless of the number of rooms paid. Back-to-back stays within a 24-hour period at a single Hyatt hotel are considered one stay. Your account will be credited 6-8 weeks after travel with Partner Loyalty Points, which are subject to the terms and conditions of the ASIA MILES. Offer blackout periods may apply due to seasonal periods or special events, and normal arrival/departure restrictions apply. Next articleReader Question: Air Austral Denied Boarding Reunion – Paris & EC 261/2004 Compensation?